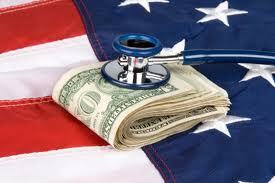 Increasing healthcare costs are one of the most important issues facing the United States today. Although the rate of increase has slowed down over the past few years, the amount of money spent on healthcare in the US has risen at an alarming rate over the past decade. It’s not only an issue for private insurers as the impact of Medicare and Medicaid spending also threatens to balloon the federal budget. Incredibly, cost savings measures instituted by the government have, and will, lead to further increases in healthcare costs. How will this happen? Lets focus on the treatment of cancer for a moment; the cause and effect should be clear. When a cancer patient requires treatment such as chemotherapy, they are typically treated in one of two settings: (1) a community-based oncology clinic or (2) a hospital-affiliated clinic. Community-based clinics are private clinics owned by the doctors who practice there and can vary in size from only a few physicians to 50 or more. These clinics are run like small businesses with physicians paying themselves a salary and the clinic taking either a profit or loss at the end of the year. Hospital-affiliated clinics look very similar to community clinics from the outside, but differ in that the hospital system handles all of the accounting and the physicians who work there are typically paid a salary. Another, very important difference between the two settings is that treating a cancer patient in a hospital-affiliated clinic is typically much more expensive than treating a patient in a community clinic. Data gathered by Avalere shows that, on average, the cost of treating a cancer patient is 20% to 55% more in a hospital-based setting (table 3 in this report). Now, if you wanted to reduce the cost of healthcare, it would seem prudent to encourage cancer patients to receive their care at community-based clinics. If you’re saving roughly a third per patient on average, it adds up to a significant amount of money. The reality is that the government has instituted two different programs that are pushing patients away from community-based clinics towards hospital-affiliated clinics. And incredibly, both of these programs were instituted to reduce healthcare costs. The first government program was an attempt to reduce the amount spent on the drugs used to treat cancer. Typically, oncologists are reimbursed through “buy-and-bill.” Physicians purchase a cancer drug using their own money and once they have used it to treat a patient, they bill the patient’s insurance company. Insurers, both public and private, typically pay physicians more than what the drug actually costs in order to cover some of the overhead associated with treating a patient. This extra money is typically referred to as the “spread.” In the past, the spread was quite generous; if a doctor bought a drug for $10,000, they might get an additional 10 or 20% ($11,000 or $12,000 back from the insurer). As healthcare costs continued to rise, Medicare and Medicaid decided to reduce their reimbursement levels so as to provide as little as an additional 4.2% in spread and there is talk of lowering it further. These changes have drastically reduced the revenue that community clinics take in and in many cases has forced doctors to sell or close their community-based practices. A recent report has shown that in 2012 there was a 20% increase in both oncology clinics closing or merging with existing hospital systems. Between 2005 and 2011, the percentage of cancer patients treated in the hospital setting increased by 150% (from 13.5% to 33%). As the number of community-based clinics decreases, more patients get treated in the more expensive hospital-affiliated clinics. The other factor driving patients to hospital-affiliated clinics is the 340b program. Initially designed to assist hospitals who treat patients with little or no health insurance, the program allows certified hospitals to purchase out-patient drugs (such as cancer therapies) at a 23.1% discount (same discount Medicaid gets). This certainly helps those hospitals who treat underinsured and uninsured patients, but the program has a catch: 340b hospitals can purchase all of their out-patient drugs through this program, whether they are used for uninsured or insured patients. In addition, hospitals don’t have to pass along the savings to the insurer, they are allowed to pocket the difference. It isn’t unusual for oncology therapies to cost more than $100K/yr per patient, so that 23.1% discount becomes a lot of money, all of which goes to the bottom line of the hospitals. To give you an example, the Duke University Hospital system effectively doubled their profit margin on drugs to 53% for a gross profit of $70M. This has created a huge incentive for hospitals to both become 340b certified and for them to attract oncology patients to their clinics. The situation we now have is that cancer patients are being pushed out of the less expensive community-based setting as oncologists struggle to stay profitable and pulled into the more expensive hospital-affiliated clinics as hospitals seek to capture as much 340b business as possible. Not exactly a great way to save money now is it? Controlling healthcare spending will be a priority for the US in the coming decade. In order for that to happen, we need a coordinated effort by the government and private insurers to find a way to incentivize not only quality care but also cost-efficient care. Without an understanding of the economic pressures and incentives offered by the current system, this may prove a very difficult task. Big pharma’s “pay-to-delay” deals: Helping or hurting patients? A few weeks ago it was announced that Jon Leibowitz has decided to leave his post at the Federal Trade Commission. Jon has been the driving force behind the FTC’s attempt to ban so called “pay-to-delay” deals that have become increasingly common between branded and generic pharmaceutical companies. The FTC claims that these deals are “anti-competitive” and basically amount to collusion between branded and generic companies. According to the FTC, these deals cost the American public $3.5 billion per year in higher drug cost as cheaper generic drugs are delayed from entering the marketplace. Jon’s efforts seem to have paid off as Senator Chuck Grassley recently introduced legislation banning the deals and the Supreme Court will soon decide if the deals are legal. Let’s say a branded pharmaceutical company is selling a patent-protected drug with annual sales of $5 billion per year. The company’s patent on the drug doesn’t expire until 2020 so they will continue to promote and sell the drug until then, upon which time a generic drug company will begin producing and selling a generic version (after gaining approval from the FDA). Generic companies compete with each other to get their generic version approved first, since it comes with a 180 day exclusivity period where no other generic company can sell their version. During the 180 days, the generic company will undercut the price of the branded therapy and grab a large part of the market share. Since the generic drug company only has to do a fraction of the R&D that the branded company did, the 180 day exclusivity is very profitable. After the 180 days are up, any generic drug company can sell their generic and the price falls to the point where there is little profit to be made. Where thing get complicated is that generic companies often don’t wait until the branded drug’s patent expires. Instead, they will challenge the validity of the patent in court and if successful, they will get the coveted 180 days of exclusivity and can start selling their generic version immediately. As you can imagine, this potential payoff creates a lot of incentive to challenge a patent. What does the patent holder do when their patent is challenged? Since there are often billions of dollars of profit at stake, they fight it out in court by hiring some very expensive lawyers to argue that their patent is valid . If the generic drug company has already started selling their generic version before the patent issue is settled (a so called “at risk” launch), the branded drug company can sue for damages if the patent is found to be valid. Since the law allows for recovery of triple damages, losing a patent decision is what generic companies fear the most (for a great example of such an outcome, look no further than Pfizer’s request for $2 billion in damages for Teva’s at-risk launch of Protonix). As you can see, the stakes are very high for both companies if a patent challenge actually ends up being decided by a judge. It’s an all or nothing outcome: one party will win big and one party will lose big. It’s for this reason that many patent challenges lead to out-of-court settlements that include so called “pay-to-delay” deals. In exchange for a payment from the branded drug company (either in the form of cash or other financial incentives) the generic drug company will agree to delay the launch of their generic version. You can think of this as a way to “meet in the middle”. Both companies get something out of the deal and it eliminates the risk of being on the losing end of a winner-takes all outcome. However, is the FTC’s allegation that pay-to-delay deals delay entry of cheaper generic drugs and hurt the consumer true? No. The launch of the generic drug is only delayed in the sense it would enter the market later than if the generic company succeeded in invalidating the patent. However, the reason why the generic company agrees to the pay-to-delay deal is because it doesn’t believe it will succeed in invalidating the patent. If pay-to-delay deals were banned, the generic company would likely just pack up its bags and head home as the possibility of losing the patent challenge is more risk than they can tolerate. If anything, pay-to-delay deals actually result in a generic drug entering the market sooner than it would have otherwise. If pay-to-deal deals are banned and branded and generic companies lose the ability to “meet in the middle”, the availability of generic drugs will likely be delayed in many cases, which is exactly what the FTC is trying to avoid. It will remain to be seen if Chuck Grassley’s bill passes into law, but in the mean time, keep an eye out for the Supreme Court decision. The court’s decision will have far reaching consequences for the pharmaceutical industry and in the end the consumer. Pfizer’s Lipitor strategy worked… pretty well! It’s been almost 3 months since Pfizer’s Lipitor lost exclusivity so it’s not a bad time to assess how the company’s strategy of maintaining market share has worked so far. Keep in mind that Pfizer really broken new ground with this strategy. Most R&D-based pharmaceutical companies practically abandon all sales and marketing efforts once a drug loses patent protection since within a month or two almost all of their market share is wiped out by the lower priced generics. However, Lipitor is not your typical drug as shown by its $10B+ per year revenue numbers. If Pfizer could keep even 10% of that market share, they would have a revenue stream that a lot of pharmaceutical companies would kill for. Before we look at the numbers, how about a quick primer on how the generics market works? When an R&D-based pharmaceutical company first gets a new (small-molecule) drug approved, it’s via a New Drug Application (NDA). Based on either the patents around the new drug, or the market exclusivity awarded through the NDA, the company has the sole right to sell the drug. The logic behind this right is that it allows a company to recoup the costs associated with R&D over a defined period of time. The period of exclusivity ends when a generics company gets an ANDA (Additional New Drug Application) approved after the patent “runs out” (or sometimes before it runs out by proving the patent is invalid). Now here is the important part. The ANDA has its own period of exclusivity. The first generics company to get an ANDA approved gets 180-days of exclusivity as the sole provider of a generic alternative to the branded drug. Again, the logic behind this is to provide a financial incentive to offset the costs of getting an ANDA approved and that incentive is substantial. During the 180-day period, the price of the drug drops only 10-20% (so the generic manufacturer gets almost the same profit margin as the branded-manfucturer did, but only for 180 days). 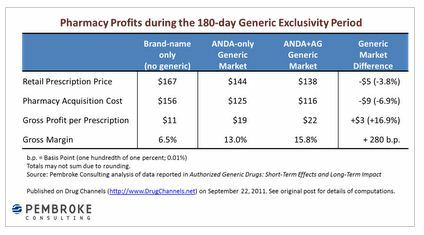 Once that 180-day period of exclusivity runs out, any generics company can get an ANDA approved and sell the drug, thus competition drastically increases and drug prices drop to maybe 10-30% of the branded drug’s price. At this point, profit margins are razor-thin and the drug is basically a commodity. Due to the rather steep price cuts that come along with generics, the brand name drug typically loses all of its market share within a month or two of the first generic hitting the market, as most brand name manufacturers have little interest in competing on price. In the case of Lipitor, Ranbaxy was awarded with the first ANDA approval and with a little help from Teva, they were able to overcome some manufacturing (and regulatory) difficulties and got their generic version of Lipitor to the market just after Pfizer’s last patent ran out. The other generic was a so-called “authorized generic”, which is in fact a generic version of Lipitor produced under the approval of Pfizer (which the rules allow). That version is produced by Watson and Pfizer gets a pretty nice slice of that pie as a result of the arrangement (70% of revenues according to this article). Now with all the background out of the way, how has Pfizer’s strategy fared so far? Pretty good. 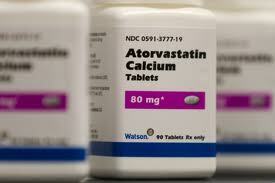 As of mid-February, Pfizer still has approximately 41% market share of all atorvastatin prescriptions. If we run some rough numbers based on Lipitor sales for 2010 ($10.7B), a 41% market share would bring in over $2B in revenue for the 180-day ANDA exclusivity period (the only time Pfizer has a chance of keeping market share). Lipitor had been slowly losing market share even before the patent expired, so let’s assume a more conservative $1.5B. All of the effort that Pfizer put into keeping market share (PBM contracts, co-pay cards) doesn’t come cheap, so let’s knock the figure down to $1B. However, Pfizer’s cut of sales from Watson’s authorized generic (which by some simple math has about 20% of the market) probably pushes that up to $1.25B. Not bad at all! Rather than leaving Lipitor to the generics companies, Pfizer spent a little time and money and has successfully held onto a sizeable chunk of the market and gets to put another $1B or so in the bank. A wise investment by any stretch of the imagination. What will be interesting to see is if any of the other R&D-based pharmaceutical companies follow suit. There are some big drugs going off patent in 2012 (Seroquel, Plavix, Singulair) and Pfizer may have just proven that a little effort can provide some big pay offs. Keep a look out for more stories like this in the coming year! UPDATE (3/15/2012): Adam Fein over at Drug Channels just put up a great post about Pfizer’s Lipitor strategy and it has some more recent data. I suggest you check it out! Has pharma been doing R&D wrong all these years? You can’t keep up on the latest biopharmaceutical industry news without hearing about the crisis in R&D productivity. Basically, the amount of money being spent on R&D by companies has been growing at a rapid pace, but so far productivity, as measured by the number of new products that reach the market, has not been keeping up. In fact, it’s been pretty flat over the last 20 or so year as the graph below illustrates (link to source). As a result, the cost of getting a new drug approved by the FDA has been pegged at north of $1B when you include all the money spent on projects that go nowhere. 1. All the “low hanging fruit” have been picked. I honestly find this reason to be pretty weak. Sure, we probably don’t need another opioid receptor agonist/antagonist and I doubt there is much use in finding another M1-muscarinic receptor agonist, but considering how little we know about the biological systems that make up the human body I find the idea that we’re running out of easy targets laughable. There are plenty of easy targets out there that would produce a plethora of new drugs, the problem is we don’t know what they are. 2. The strategic shift from away from innovation to financial returns has killed productivity. There is likely something to this point. However, this trend didn’t just start happening in the mid-1990s. I was recently speaking with a gentleman who is getting close to retirement after spending most of his life in pharma. He mentioned how in the mid-1970s he was working for Searle and a new CEO came in who completely thrashed R&D in order to improve the bottom line. I have no doubt that a strategy that is overly focused on profit maximization can reduce R&D productivity, but I don’t think that’s the root cause of today’s problems. 3. The recent spat of mergers and acquisitions has killed morale among R&D personnel. Again, I think there is something to this, but mergers and acquisitions aren’t a recent phenomenum either. I personally witnessed the level of morale at a big pharmaceutical company during the multiple mergers that happened in the early 2000s and yes, productivity took a nose dive. However, I don’t think this is the root cause of the drop in R&D productivity. At this point you might be asking “Well, what is it then?” I don’t claim to have the final answer, but a recent paper in Nature Reviews – Drug Discovery gave me pause because it backed up a hypothesis that I’ve been thinking about for the past few years. The most logical way to approach this problem is to ask the question: When were things better and what has changed since then? If we look back to the golden age of pharma, say the 1950s – 1970s, we see incredible productivity. Entire drugs classes were discovered during this time including the benzodiazepines, antipsychotics, synthetic opiods, antifungals, etc, etc. Janssen Pharmaceuticals alone discovered over 70 new chemical entities over a 40 year period starting in the 1950s, with many of those occurring in the earlier years. So what changed since then? Well, the Nature paper discusses the shift in R&D strategy from phenotypic-screening to target-based screening. In layman’s terms, it was the change from screening drugs based on the response they produced in living tissue or an organism to screening drugs based on the effect they produced on a drug target (typically a receptor or enzyme). Phenotypic-screening is how the benzodiazepines were discovered. The first benzodiazepine, chlordiazepoxide, was not made because they thought it would make for a good anxiety drug, it was an unexpected product that was produced during a chemical reaction. The chemical was then administered to a laboratory animal (likely a mouse or rat) and the sedative effect was noted. Contrast this with the drug discovery strategy that is typically seen today in pharmaceutical companies: researchers isolate a drug target that is believed to play a role in a disease and then the chemists and biologists go about making new chemicals that interact with the receptor in a particular way, optimizing for solubility, logP and all the other metrics that make for a good drug. At this point they have no idea if the drug actually works, they only know it interacts with the target. They then move to animal models of the disease and try to confirm efficacy, which if successful leads to the drug being tested in humans. The key difference between these two drug discovery strategies is that the first (phenotypic-screening) ignores how the drug works and just focuses on if it works. Target-based screening focuses on knowing how the drug works, not if it works (yes, I’m painting with a broad brush here, but bear with me). Now, if you’re in the business of discovering new drugs that interact with biological systems that you have little understanding of, which makes more sense as a strategy? Which is more likely to lead you to the discovery of a new class of drugs? It’s really a choice between trying to expand on current knowledge (target-based screening) and throwing a hail-mary and trying to find something you never knew existed (phenotypic screening). If you’re at all interested in this topic, I strongly encourage you read the Nature paper (it’s open-access) and look at some of the data that the authors uncovered. They do a much better job of explaining the trade offs between the two methods and came up with some pretty interesting evidence that the shift away from phenotypic-screening has had direct consequences on R&D productivity. Maybe it’s time for pharma to look to the past for guidance on how to suceed in the future? More Lipitor news: Ahhh… that’s why independent pharmacists are mad! Yet another updated on the Lipitor-is-going-generic saga. Rather than reiterating what I said in prior blog posts, I’ll just add some interesting tidbits of information. The statement called the move “a blatant attempt” by benefit managers to keep Pfizer’s discount while employers still have to pay the full price of the brand-name drug. Now things become a little clearer! PUTT says they are outraged that employers will be stuck paying higher drug prices if Lipitor is used instead of the generic (which, by the way, they have no proof of), but I would hazard to guess that some of their anger comes from the fact that they are missing out on those juicy margins they usually make during the 180-day exclusivity period. If you want to see how contentious this issue of pharmacy margins can be, check out the comment section of a another blog post by Adam here. Who knew drug distribution strategy could elicit such emotion? I posted a few days ago about Pfizer’s strategy for dealing with the upcoming loss of exclusivity for it blockbuster drug Lipitor. Well, there is more news on that front, this time concerning the Federal Trade Commission’s (FTC) interest in the deals Pfizer made with pharmacy benefit managers (PBMs). As reported by Pharmalot, the FTC has started calling around, asking about the details of the contracts. It’s not an official investigation yet, but does show that the federal government is concerned that Pfizer is participating in anti-competitive practices. However, if you read the letters from the PBMs to pharmacies that were leaked, it does appear that Pfizer (through the use of discounts) is making the continued use of branded Lipitor the cheapest option out there. If you check out page three of the link, you’ll see that Catalyst Rx is being offered a 31% discount, which bring the cost of Lipitor for the insurance company to just under what generic Lipitor would cost in the first six months after the patent expires. A Coventry spokesman confirms the deal was cut directly with Pfizer. “Most of Coventry’s fully-insured members will save money on Lipitor when we pass on the savings by lowering their pharmacy co-pay to the amount they would pay for the generic. We think our members will appreciate the change and lower co-pays, but it also reduces our bottom-line cost of Lipitor, which helps Coventry keep coverage more affordable.” He declined, though, to offer any specifics. So it would appear that Pfizer is isn’t doing anything underhanded at all. 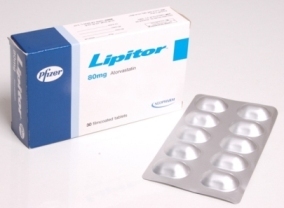 They are providing discounts which makes Lipitor the lowest cost option, even after generic become available. However, the question remains, why is Pfizer doing this? Is it simply to cash in on another 6 months of Lipitor profit (albeit at a lower margin and smaller overall market)? That could be, but I would guess that this the first stage of a multistage strategy to keep Lipitor profits flowing (or at least a significant portion of them). As I mentioned in my previous post, keep an eye out in the next 3-4 months for news about Lipitor and Pfizer. If there is a long-term plan involved, Pfizer should start rolling out the next stage soon. What on earth is Pfizer up to with Lipitor? Now it’s not everyday that you see something this unexpected in the pharmaceutical industry, so I have to comment. It’s old news at this point, but Pfizer’s Lipitor, the best selling drug in the history of the industry, will lose its market exclusivity on November 30, 2011. At it’s peak, Lipitor had annual sales of over $13 billion dollars, so this is no minor event. A lot of people in the industry were wondering how Pfizer would deal with this and it appears we’re getting a sneak preview of their strategy. OK, before you get too worked up, a quick lesson on PBMs. PBMs are hired by insurance companies and by employers with health plans to manage their drug expenses. In fact, they compete with each other, trying to provide the best plans they can. That’s why it seems like your prescription drug benefit changes every year when its time to re-enroll in your employer’s health plan. Do you really think Medco is going to negotiate an agreement where Pfizer gives them a discount on Lipitor and they pocket the entire thing? Hardly. What’s happening here is Pfizer has negotiated with the PBMs and agreed to a rebate structure that basically undercuts the yet-to-arrive generic versions of Lipitor. Although the prices of generic drugs are less than the branded price, they typically only drop 20-30% in the first six months because the first generic version gets 6 months exclusivity (they are the only one who can sell generic Lipitor). After the 6 months of exclusivity are up, the drug basically becomes a commodity and the price drops 80-90% compared to the branded version. What Pfizer is doing here is providing some pretty hefty discounts to the PBMs (probably 20-30%), undercutting the generic companies and making branded Lipitor the most attractive option from a price perspective. Those hefty rebates that the PBMs negotiated? They aren’t keeping them. That money will filter through to the insurance providers and employer-sponsored plans. If it didn’t, Medco would be in a world of hurt. Now that we have that figured out, the more interesting question is “What on eath is Pfizer up to with Lipitor?” There has to be some strategy behind this because once the 6 month generic exclusivity runs out, the price is going to drop even more and Pfizer is unlikely to agree to a 80-90% discount. There has been talk of an over-the-counter (OTC) version of Lipitor coming out, but that would take over a year to get approval from the FDA. All I can say is, keep an eye on Pfizer. 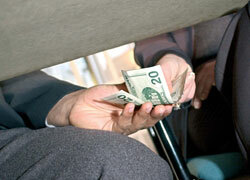 They are up to something and it’s a strategy that the pharmaceutical industry has never seen before.